Our Xian itinerary is a plan that looks better on paper than in practice. Flying in and out on the same day left no room for error in this former capital city of China. 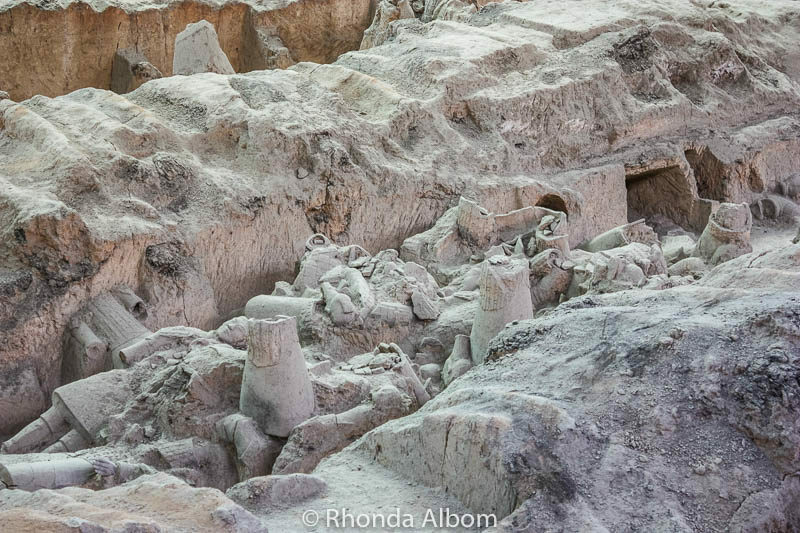 A city with over 3,000 years of history, it is the eastern end of the ancient Silk Road. 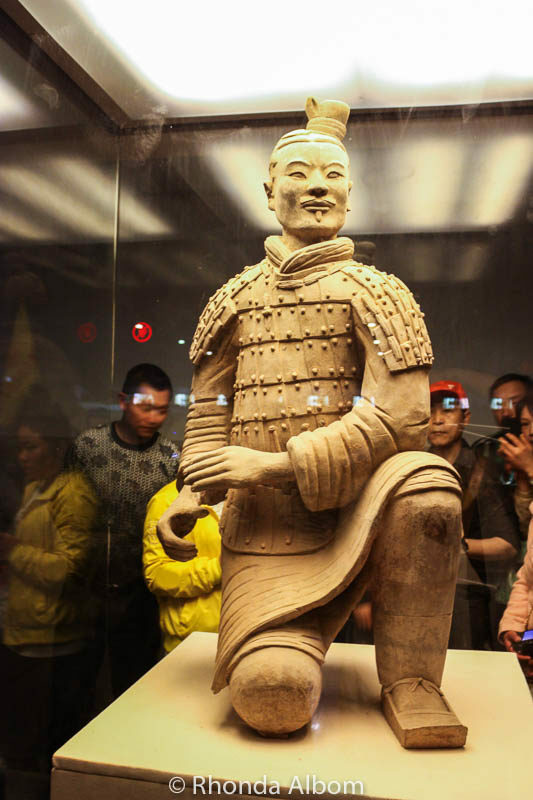 Our Xian itinerary allowed for the three highlights that we pre-selected: the ancient city wall, the Giant Wild Goose Pagoda, and the army of the Terracotta Warriors of the Qin Dynasty. While it worked for us, the itinerary featured here is quite rushed. We couldn’t have done it on our own. 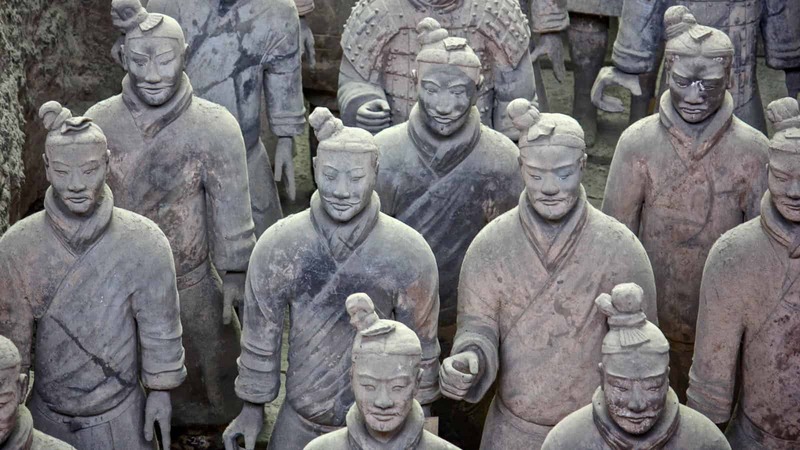 ⇒ Check pricing and availability on Xi’an tours. 7 What is your ideal Xian Itinerary? 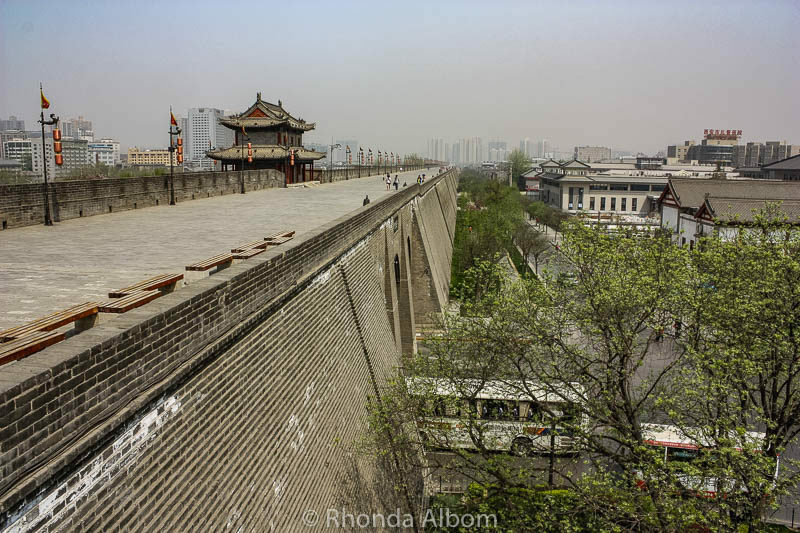 Built during 1378 during the Ming Dynasty, the ancient city wall stands 12 meters high. The wall’s wide path (12-14 meters across) makes it perfect for walking or cycling. Down on the ground, traffic flows through the city gates. We walked a small portion of the wall’s 13.7-kilometre track, passing several of its 98 ramparts. Fog covered the city the day we visited, so our views were not too impressive, but I imagine the view from the wall is lovely on a sunny day. 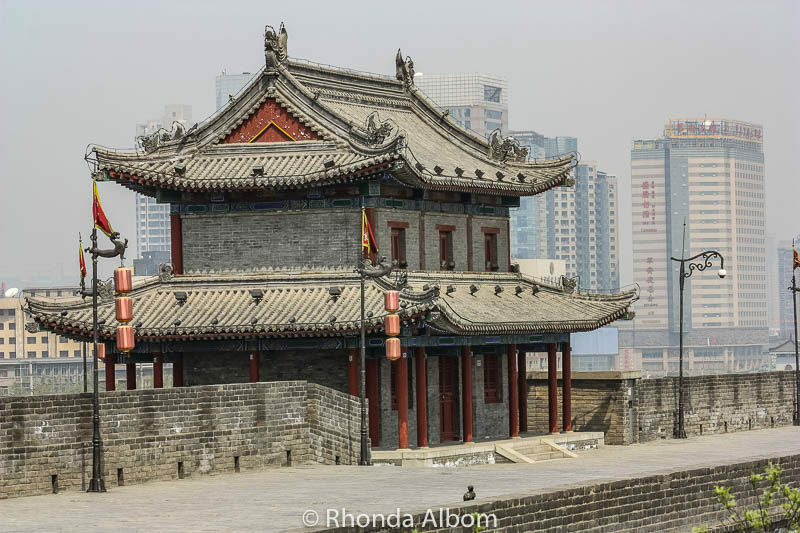 The Yongning gate on the Xian city wall. A view of one of the ramparts, the track at the top of the wall, a bus passing through one of the gates at ground level, and a bit of the city in the background. A sentry building sits on each of the ramparts to allow soldiers to see enemies trying to climb the wall. A closer look at one corner of one of the sentry buildings reveals a wire that guards the figures against lightning strikes. The well-preserved Giant Wild Goose Pagoda (also called Big Goose Pagoda) is 64m tall. 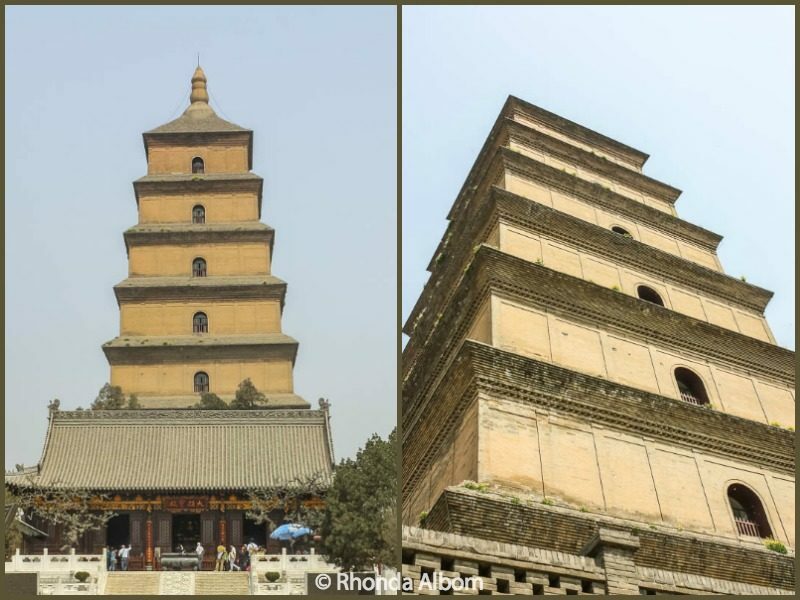 It is a Buddhist pagoda originally built in 652 AD during the Tang Dynasty. Multiple rebuilds and repairs have occurred throughout history. It was originally used to house and study Buddhist materials that were brought from India and transported along the Silk Road. A holy place for Buddhists, it is inside the Da Ci’en Temple complex. It is a World Heritage site. Two different views of the Giant Wild Goose Pagoda. Inside one of the rooms of the Da Ci’en Temple in Xian China. 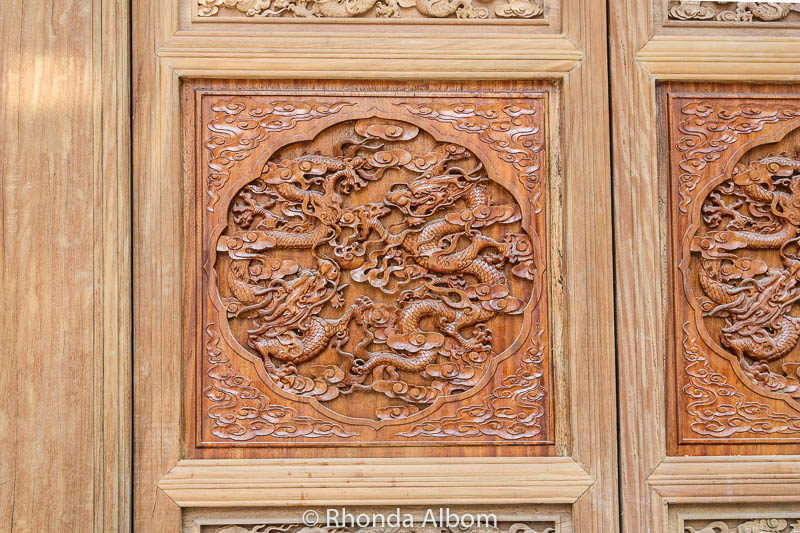 A beautifully carved door at one of the Da Ci’en Temple buildings. Xian is centrally located in China and offers a delicious regional mix of Cantonese and spicy Sichuan flavours. Our guide took us for a traditional Chinese lunch. The lack of time to fully enjoy it, and to take photos, is our biggest let down of this express visit to Xian. The highlight of our day was seeing the terracotta warriors. 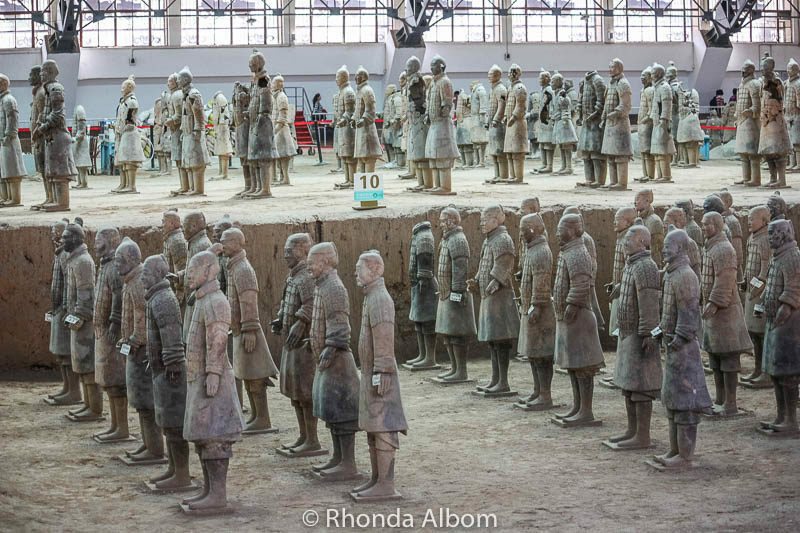 There are more than 8000 hand-moulded sculptures representing the armies of the first emperor of China (Qin Shi Huang). Each life-sized statue is unique. They were built 2000 years ago to be buried in the mausoleum with the emperor’s body to guide him into the next life. I remember reading about the terracotta warriors after they were discovered in 1974. They were a mystery in a far-off land, an archaeological find available only to the experts. Oddly, they had been discovered by accident. 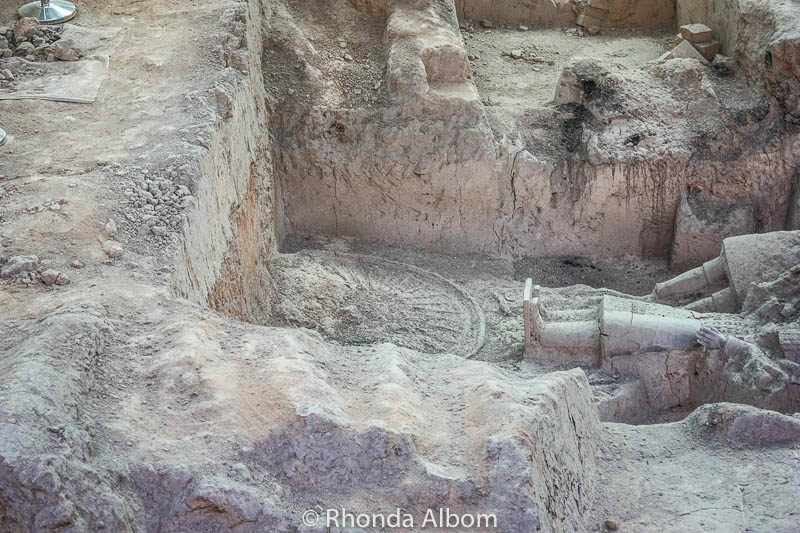 Digging for a well, a farmer came upon one statue, which led the archaeologists to discover rows or terracotta warriors and their horses. The army stands ready to lead the emperor to the next life. A closer look at some of the warriors’ distinctive faces. Many of the warriors were in ruins when they were discovered. According to our guide, the men who built the warriors also destroyed them as they were angry for having been forced to build them. Here we could see the indent from a chariot wheel in the dirt. A few of the best-preserved pieces are in the museum building, their colour protected behind the glass. The Bell Tower: Standing 36 meters (118 feet) tall, the wooden bell tower is the largest and best-preserved of its kind in China. Qin Shi Huang Mausoleum: resting place of the first Qin emperor (the terracotta army are in part of the burial grounds). 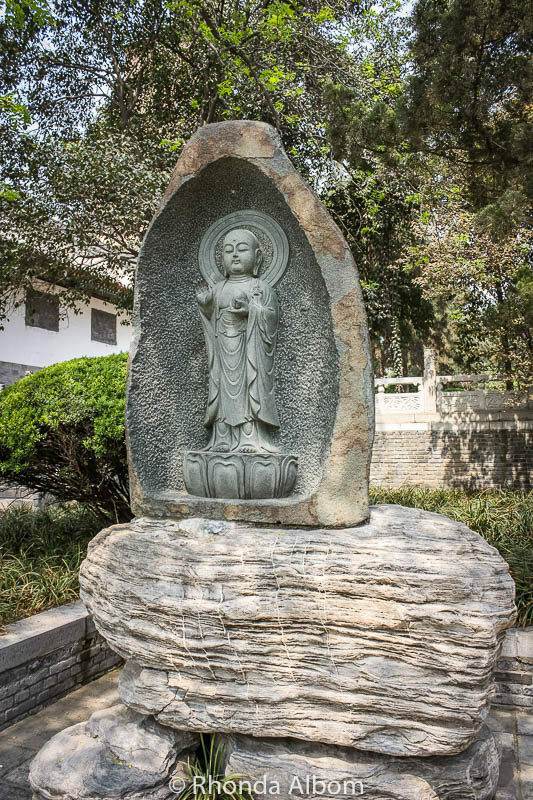 Shaanxi History Museum: Opened in the early 1990s, it is the first modern national museum. Great Mosque: Built in the 8th century, it is a blend of Chinese and Islamic architecture. Xian was the capital of China throughout 13 dynasties. It can be spelled with or without the apostrophe: Xi’an or Xian are both correct. While doable, this one-day Xian itinerary is not optimal. To have enough time to see the highlights we needed an early flight, requiring an extremely early wake-up. If you are going to do as we did, be sure your guide is reliable, has a vehicle that can hide your luggage for the day, and get to bed early the night before. We always take travel insurance before we start your trip and read the fine print carefully to know which activities and limits apply to our policy. A word of note: China Southern cuts off check-in 45 minutes before flight time. We flew from Shanghai to Xian, and then on to Chengdu in the evening. If I planned better, I would stay at least one night. We had good luck finding the best prices on accommodation in China from Booking.com, which lists over 1000 accommodation options in Xian. What is your ideal Xian Itinerary? 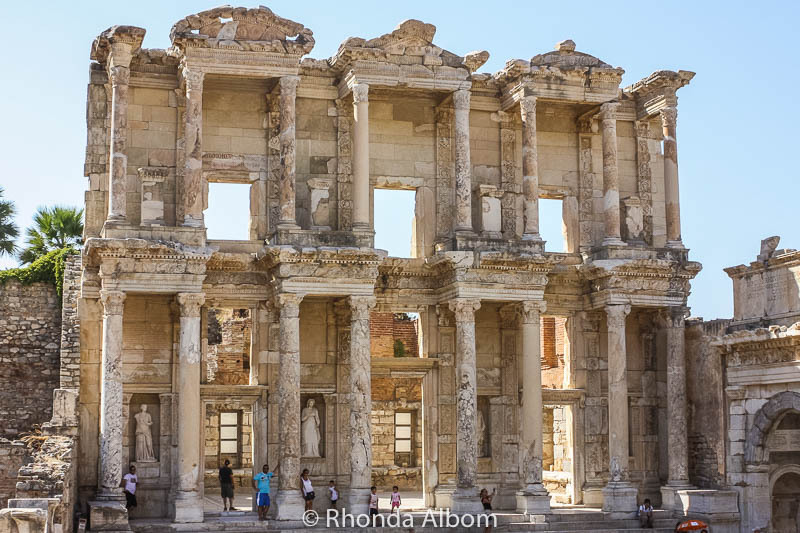 Amazing to see those layers of history in some of your shots, Rhonda. 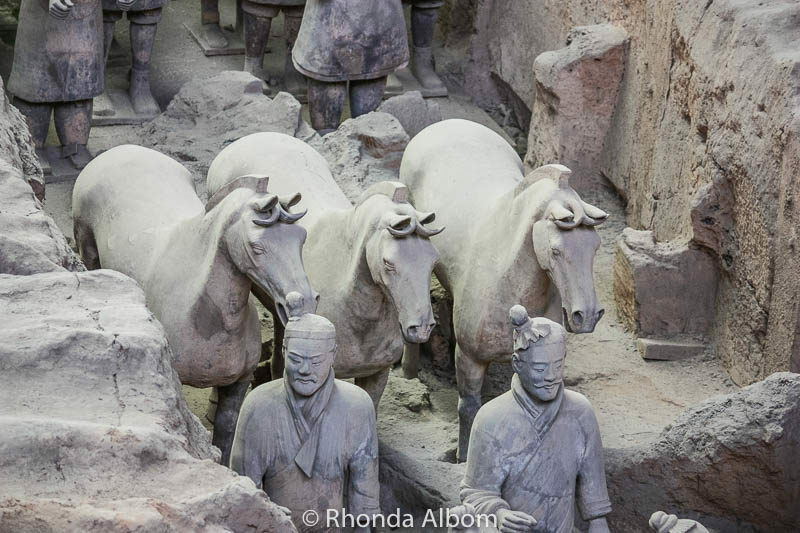 Fantastic photos and the terracotta army is just amazing, isn’t it? So amazing. I could have stood there for hours admiring the faces and craftsmanship to create them. I saw the traveling exhibit of the warriors at Atlanta’s High Museum a few years back. I wasn’t expected to be as moved by it as I was or think it was so incredible. And it was only about 6 of the warriors. I would love to see this in person and visit Xian. I don’t think the travelling exhibit made it to New Zealand. I hope you get to see the entire exhibit someday. 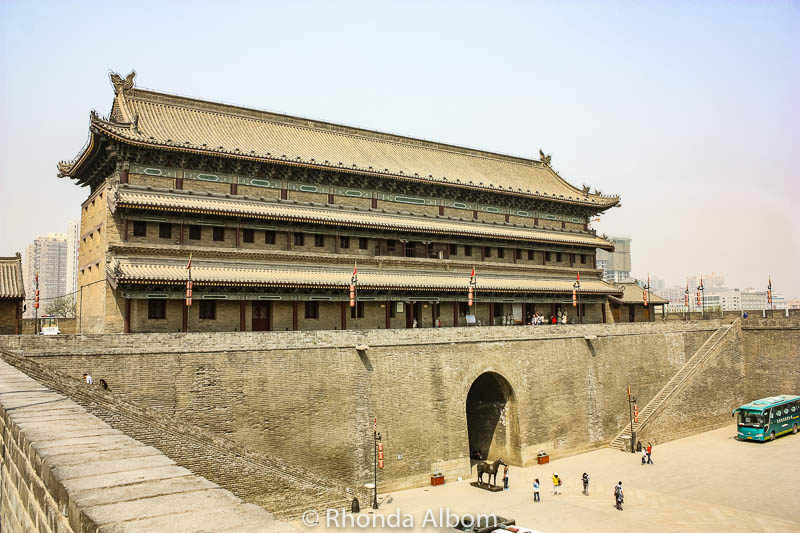 Plan to spend more time in Xi’an than we did, if you can. 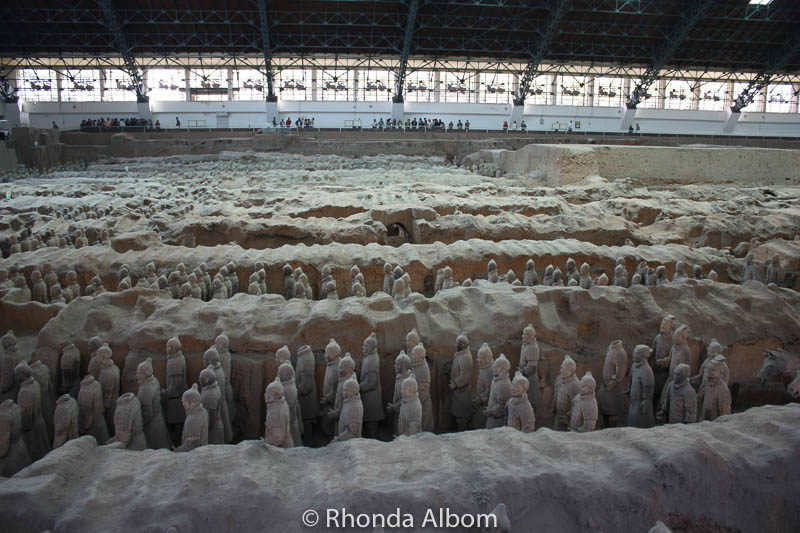 WOW, how amazing about the Terracotta Warriors. My friends Al & Meilin , she’s Chinese and she told us last night that they were going back at the end of the month to China. This might be Al’s last time to visit. Al has been in very poor health so she wanted him to visit China for the last time and Meilin could visit her relatives. See ya Rhonda. The size of the site that houses the Terracotta warriors is amazing. It’s larger than an airplane hanger for jumbo jets. The pictures are beautiful… I felt like I was there. If you are able, do travel to China. I loved the experience. Really great photography. I’ve been wanting to visit China, it seems like a beautiful country. Your pictures are really great. Thanks. 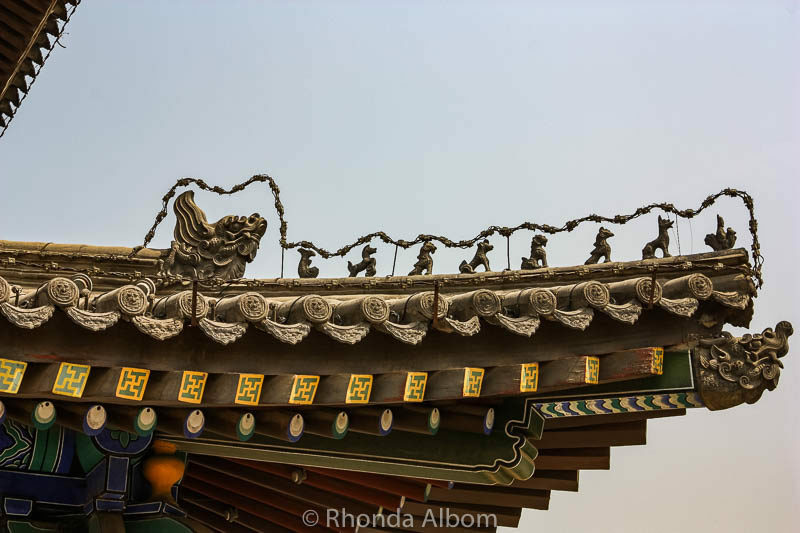 There is so much to see in China and Xi’an is only one city. Can you believe it..I haven’t been to China! I have wanted to come down here but haven’t got a chance. Great to see all your photos and stories! It is worth a visit. There is so much to see. What an incredible trip! The photos are stunning. It was amazing but a bit too quick. Wow! The pictures are stunning. 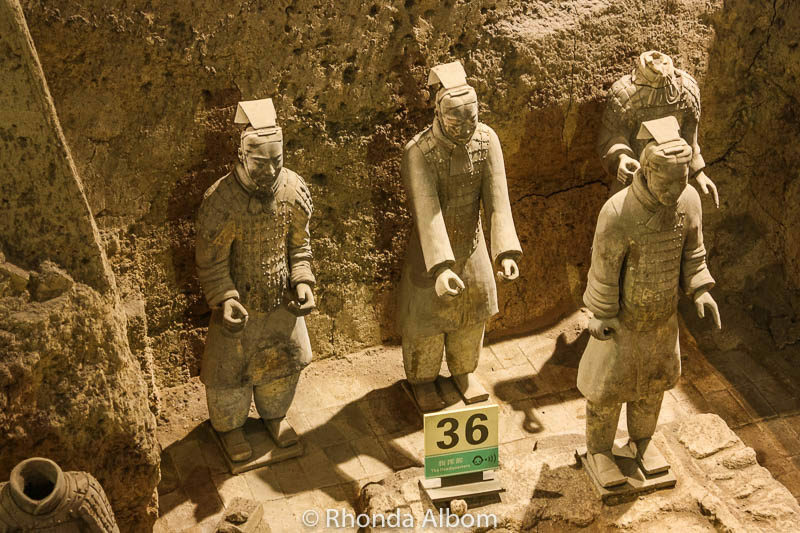 I haven’t seen anything like this before… I loved the image of terracotta warriors and the story behind it. We found it all to be fascinating. Rhonda, you have such fascinating travels! I love seeing your posts. THis is definitely on my bucket list! We do our best to get to interesting places. And it was on my bucket list too. 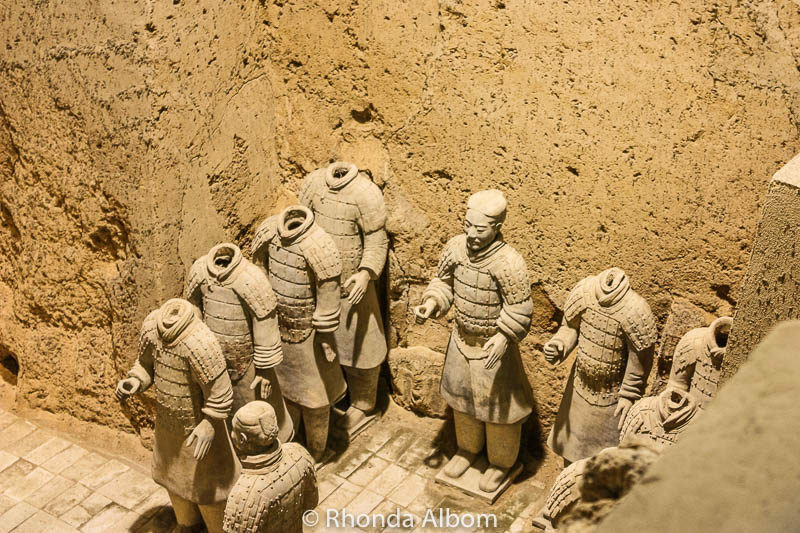 Wow, the terracotta warriors must be so incredible to see in person… I can only imagine based on how impressive it looks in your photos here. Thanks for sharing! Yes, it is a surreal experience to stand there and look out over the faces of the army, and then to think about how old they are, and that they were all made to go into a tomb, never to be shared with the world. Beautiful pictures, thanks for taking us on this virtual journey. We have only seen the replicas in Epcot at Disney. I didn’t even know there were replicas in Epcot. Holy cow, your pictures are just so beautiful. Thanks for sharing them. It would be breathtaking to go there. Thanks Patrick. It was pretty incredible. That is amazing… love the juxtaposition of old and new. We found that just about everywhere we travelled in China. WOW! The building is so much more detailed then they are here. Both the inside and the outside are amazing! So artistic! They are also more detailed than the modern building in China. Your photos are gorgeous. I haven’t visited China yet but would love to see all of this in person. There’s so much fascinating history here. Yes, it’s a city loaded with history in the center of a country loaded with history. Such a great itinerary! 🙂 I have always wanted to see in the Terracotta Warriors in person. I hope you get there. They are worth the effort. Amazing history and culture but I’m not sure about the health implications of visiting China, how did you find the air quality? We were only in China for two weeks, and it was only Beijing that was really bad. Some of the other cities we visited probably had cleaner air than Los Angeles. I’ve only ever seen it on TV and thought it to be so fascinating. I do feel lucky. It was a highlight of our China travel. I have been lucky enough to see a few of the soldiers on loan at our local museum. One day I hope to see them in their entirety. How beautiful it must have been. The massiveness of the army all together is really impressive. Wow, the Xian looks like an amazing city to visit. I would love to visit the warriors, its fascinating to see how resources were used in the past years. The terracotta warriors were a bucket list item for me. 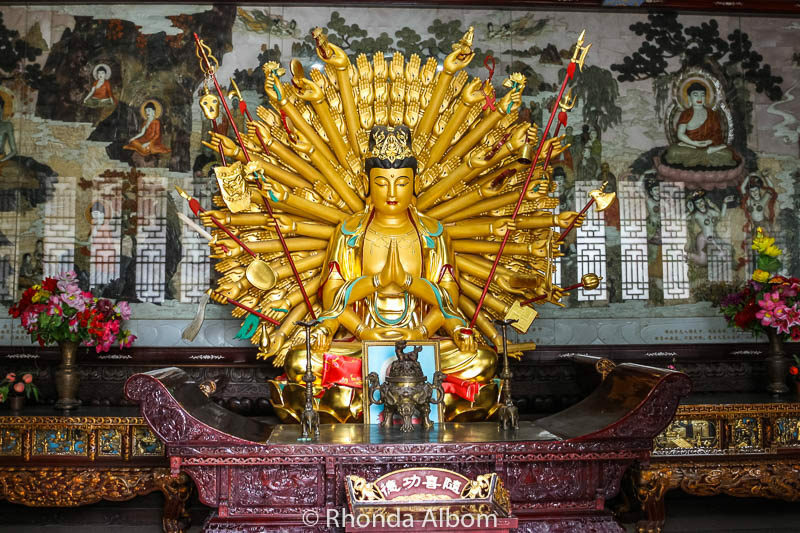 Asia appeals to me greatly…I love these photos, especially of Kuan Yin and Buddha. We really enjoyed our visit to China. I would love to see the warriors. Impressive. The smog. Yikes you can see the smog. LOL – Looking at the photos I was thinking fog, but I bet you are correct. I hope you get there some day. Amazing place and what rich culture on display. I also notice how the old and the new lives harmoniously here. Very true, the city moves effortlessly between the two. There are many more photos here now (only one of these was in the original post) so I hope you got a better feel for the city. We had such limited internet when we travelled. 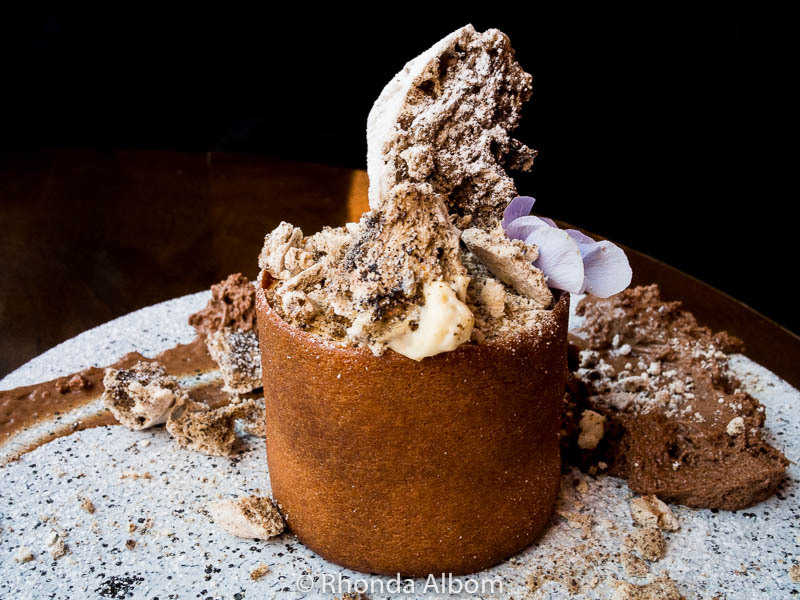 Amazing, Rhonda! And your photography captures things wonderfully – they gave me a sense of the place. That is my goal, to capture the essence of a destination. Smart to use wires to protect the statues. 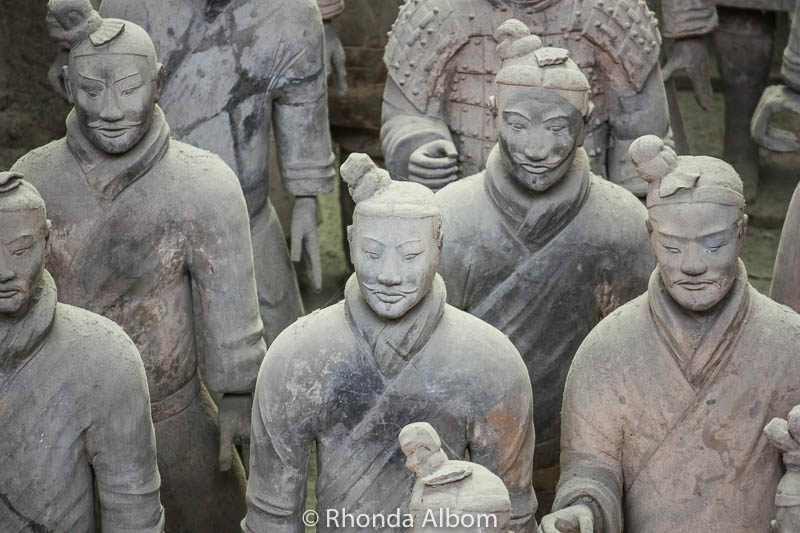 Seeing the Terracotta Warriors would be amazing. We saw this a lot in Beijing also, at the Summer Palace and the Forbidden City. A lightning strike would cause a fire, and it would be such a devastating loss. Your photos are amazing and although you were only there for a short time you made the most of every minute. Yes, that is usually our goal, except on our rest days. We travel with carry-on luggage, so very limited souvenirs. We opted for tiny replicas that stand about 3cm tall. Fabulous shots of the amazing architecture. Thanks Fi, I only wish I had more time to explore the city. These are absolutely incredible! They even outnumber Alex’s clones! It does look amazing. I love that there are so many and they were all different. I bet I could stay in there for hours looking around. Awesome share. All three sites were pretty awesome, and huge. It’s the magnitude that really doesn’t come through until you are standing on the wall, or in the museum or under the pagoda. That is so amazing to actually see that in person. i’ve always loved those warriors – i imagine how long it took to make them and how intimidating they would be to an enemy at that time. i bet it was extrememly cool to see them in person! Looks amazing. How they created 6000 different warriors must have taken a lot of talent. We went to visit the Terracotta Warriors, too, a few months ago. Aren’t they magnificent?! It’s utterly amazing! I’ve hear each one is unique and them man who discovered them looked just like one of them. I hadn’t heard that the man who discovered them looked like one of them. I would imagine with 8000 everyone could find at least one with resemblance, but a doppelganger would be very cool. I only wish we had more time to explore the city. The fly in, fly out worked fine in concept but was too tight. 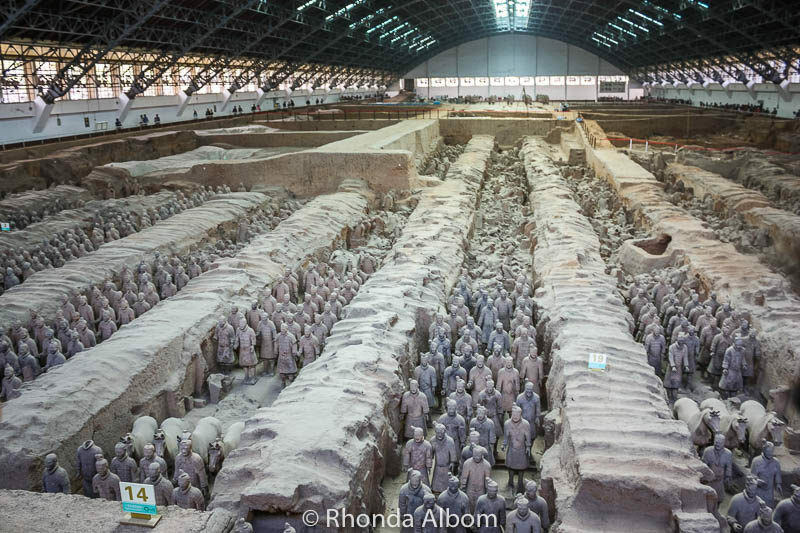 Xi’an is on my bucket list! That’s so neat! I love the photos you captured of them in a group! I’m sure the room felt full of people. Actually, the room is so big, it didn’t feel crowded. Even the spectators’ areas had plenty of space. Wow, there are thousands of them! Somewhere I hope I’ve got some of the info .. but it was when my mother was ill, so possibly it’s gone awol … I’m glad I’ve seen the ones at the Brit Museum as I doubt I’ll get to those in China .. I am glad they take pieces of the exhibit around the world so everyone can see it. Wow, they are all huge. I didn’t realize that it was so big. I’ve not seen these for real and will never travel to China, so no I won’t ever be seeing this. Honestly, I think the wall surprised me the most, as it was the one of the three I had done the least research on before arriving. I didn’t realize there were so many statues in the exhibit. How cool! I’ve seen a replica of it!